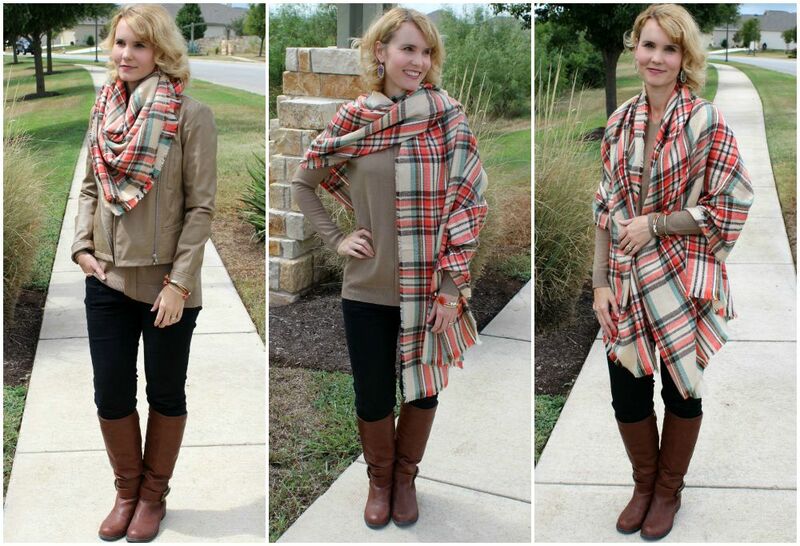 3 Blanket Scarf Outfit Ideas, Plus How to Tie One! A blanket scarf outfit is the perfect fall look. I’ve actually never owned one until this season and I can now officially say I’m hooked. 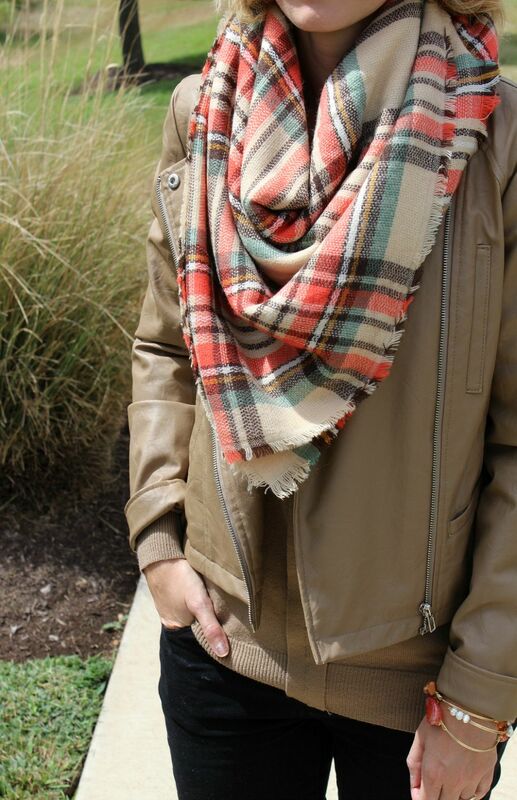 There are endless ways to wear one and a blanket scarf is the perfect accessory to grab at the last minute for warmth. Plus it gives your outfit a style boost. 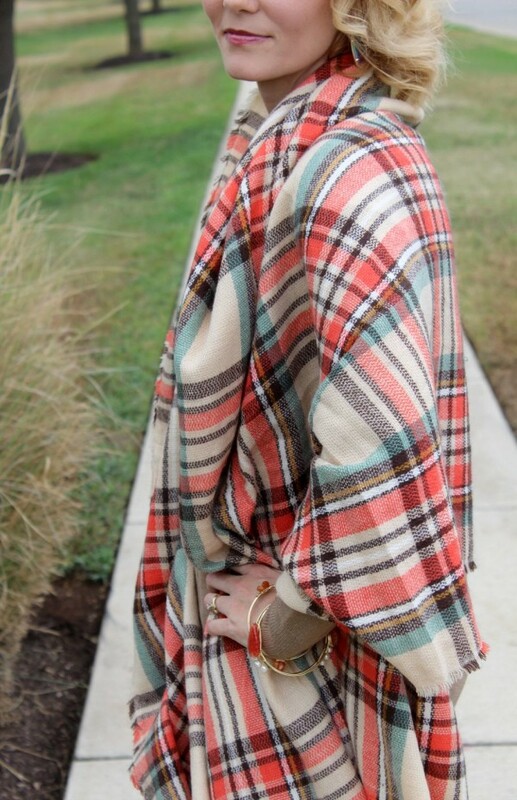 Today I’m sharing three blanket scarf outfit ideas, along with a step by step tutorial on how to tie one. All of these looks are so incredibly easy and stylish! I purchased mine from Conversation Pieces, a store I’ve teamed up with for some of my favorite apparel! If you’ve been curious about how to tie a blanket scarf, I’m here to tell you this method is so incredibly easy. It’s probably my favorite look out of all three. I paired it with a leather jacket the same color as my shirt, and I just love the look. Here’s how to tie it. As you may know, I’m really liking ponchos for fall. They are lightweight enough for the roller coaster fall temps, but provide just the right amount of warmth I need. Plus, they look amazing. 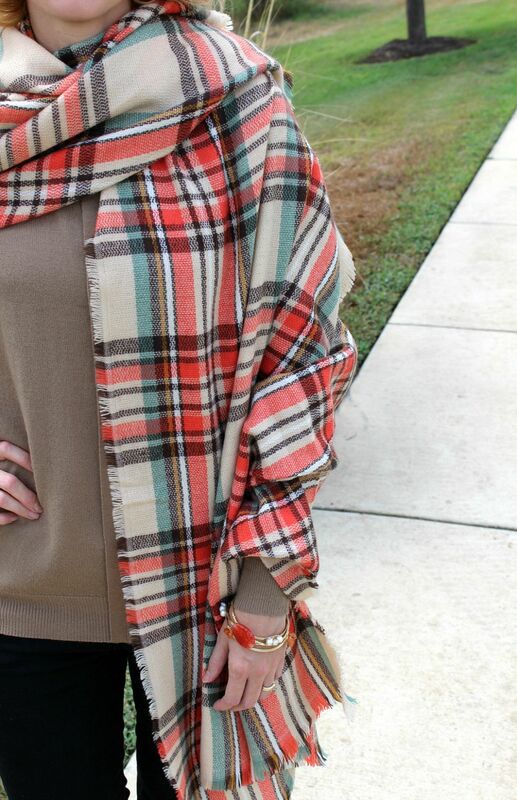 Wearing a blanket scarf as a poncho is as easy as throwing it over your shoulders and heading out the door. 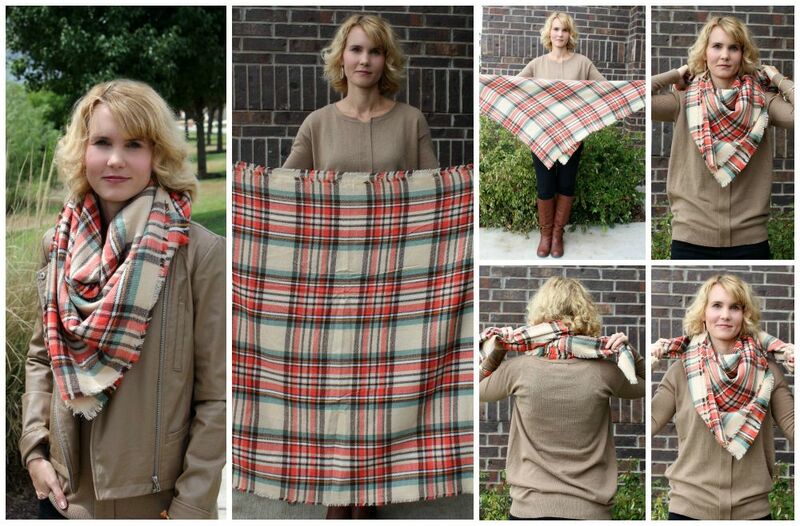 You could even wrap a belt around your waist, cinching in the blanket scarf and keeping it in place. 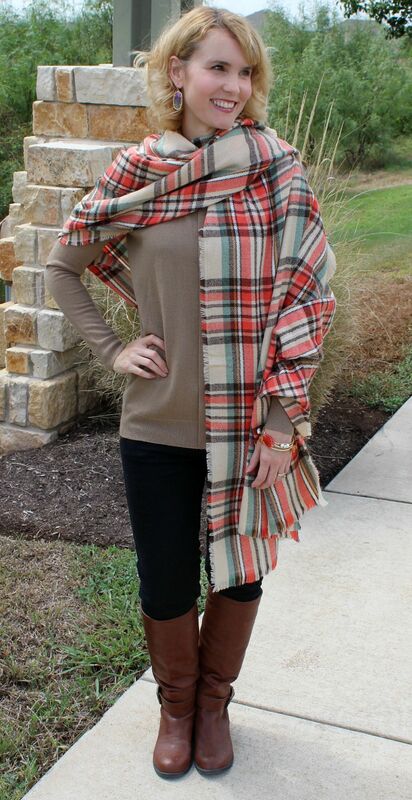 This is a classy blanket scarf outfit idea and yet again, an easy look to achieve. Instead of wearing it over both shoulders like the poncho look above, take one corner and throw it over your shoulder. Ingenious, I know. 😛 This would be the perfect look for attending an event that requires you to dress up. 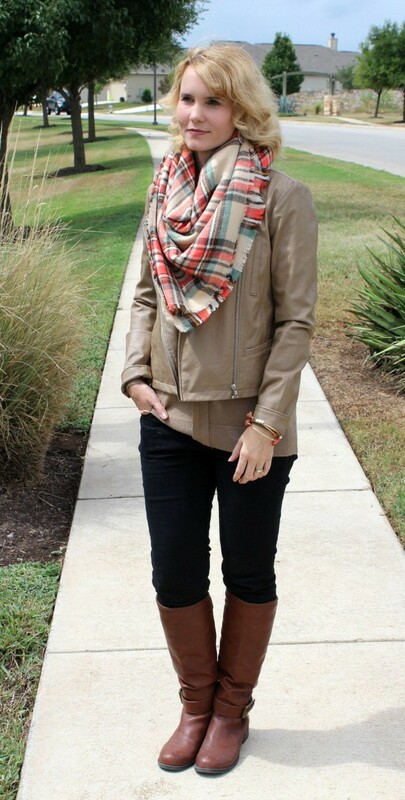 I love this look with a classic black scarf and dress. Which look is your favorite? Let me know! Disclosure: Mom Fabulous received samples in order to facilitate this post. All opinions are my own. Previous articleSick of Online Promo Codes That Don’t Work? Try Giving Assistant for Cash Back! Love that pattern. Wish I could find it somewhere! I love it too and unfortunately the shop where I got it no longer carries it. 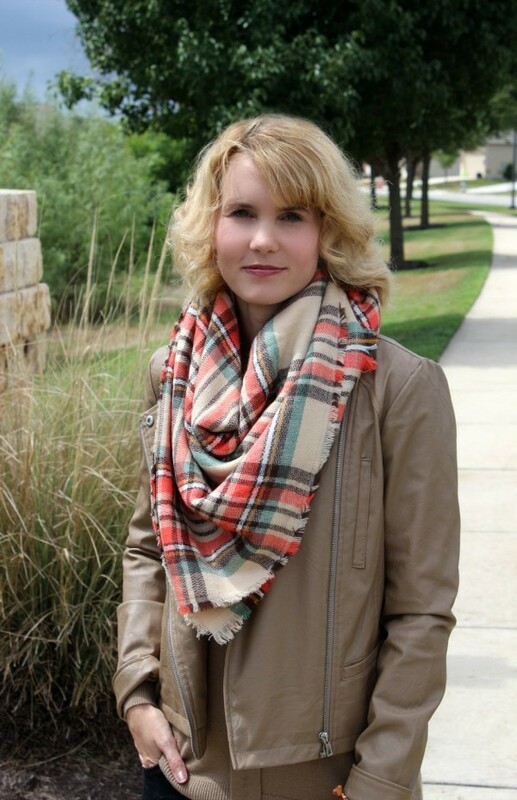 But, here’s one from Amazon with similar colors: (Beige Warm Scarf) http://amzn.to/2qx6ZH7 Hope that helps a little!